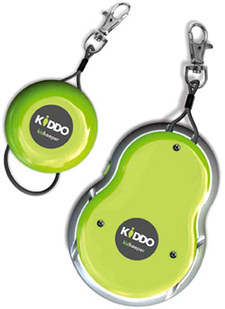 Kiddo is an innovative proximity alarm that can prevent children from getting lost, being snatched and having accidents. 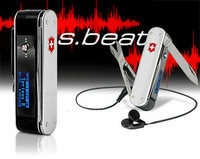 It has two units: a transmitter, which is attached to the child, and a receiver, which is carried by an adult. 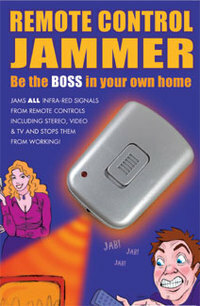 The receiver allows the adult to set the maximum distance the child(ren) can wander away. Whenever the child strays beyond this pre-set distance, the Kiddo will emit a warning sound and visual alarm on the unit kept by the adult, and so the child can be retrieved in a few seconds and brought to a safe place. In addition to being used for child safety, the Kiddo can also be used to monitor adults (those with Alzheimer’s, for instance), valuable property or pets. Three-in-four (76%) have at least one digital lifestyle product on their wish lists leading up to the Christmas season according to a national survey of 1,200 American consumers by Solutions Research Group. All the tools you could ever need, packed inside the craziest and biggest penknife we've ever seen! You can buy the Wenger Giant Swiss Army Knight at Wenger for only $1,200 plus tax and shipping. Ooch!!! All 85 implements and 110 functions listed after jump. 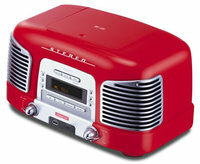 Teac Japan takes you back to the 50s with the SL-D900 CD player/radio clock, available in six nostalgia colors for $210. The CD player can read MP3 files as well as having a front USB port which you can play MP3 files stored in Flash drives, Portable hard drives etc. It has 2.1 channel speaker system with sub woofer built in and with an output of 15W which makes it a jamming table top radio. Available in Japan; no word whether or when we’ll get it here in the states but as Gizmodo says...keep an eye on a Sky Mall catalog. Source Gizmodo.